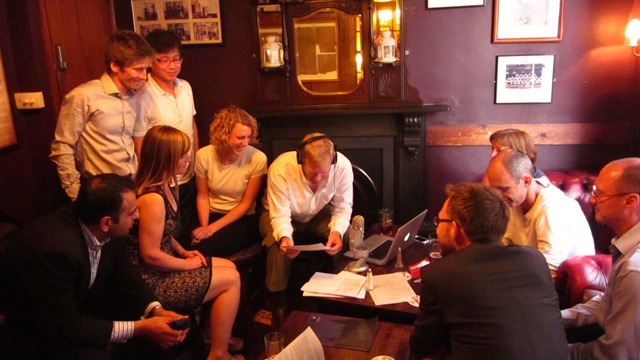 Our group dedcided to have an authentic journal club meeting in one of Oxford’s famous pubs. This was Ken’s idea – he wanted our group to record one of his Podcasts (which we later re-labelled as a Pubcast) for his series of podcasts. He picked a paper from the 2011 Christmas edition of the BMJ, titled: “Orthopaedic surgeons: As strong as an ox and almost twice as clever? Multicentre prospective comparative study” by Subramanian et al. This was great fun!